Jared Unzipped: Ant-Man's Stomach Could Solve World Hunger. I recently watched the Marvel film Ant-Man. I enjoyed the movie as it was -- a simple, straightforward redemption / heist movie that didn't take itself too seriously. The plot was fairly thin, but oh well. What more could you expect? It's about a guy that can shrink. The movie got me to thinking, though. Ant-Man could solve all of the problems of the world, if he were real at least. As a fictional character, his abilities create a massive plot-hole in the Marvel Universe. While we all know that Ant-Man can become incredibly tiny, but what most casual film-goers and comic readers don't realize is that he can also grow upwards in size. 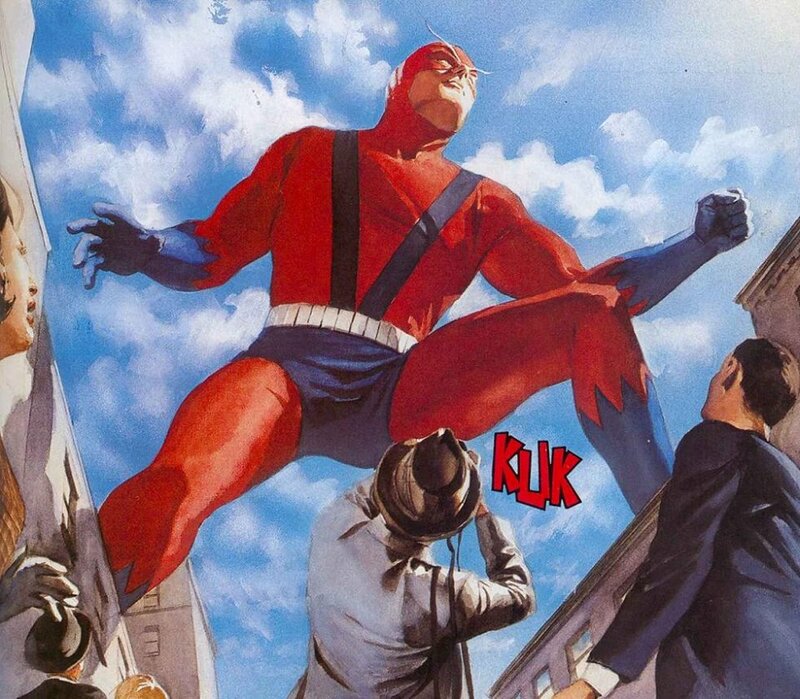 Ant-Man is also known as Giant-Man! His growth powers work in both directions, both smaller and larger. 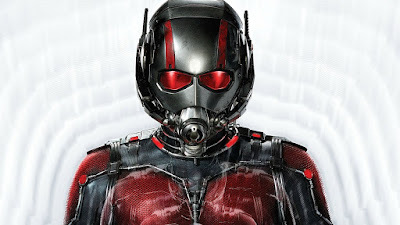 The Pym Particles that give the Ant-Man suit its powers cause the wearer inside to grow or shrink in proportion. His or her body maintains its structural form, but the ratio at which it changes stays as-is. Hence, the wearer looks and changes a great deal, but the alteration to size is totally relative. Now, consider the contents of the Ant-Man's body when it changes size. What about the food and water in his stomach, which also grows or shrinks directly proportional to the Ant-Man? If he ate a corndog and drunk an eight ounce glass of water before growing into the Giant-Man, the items in his stomach would also become larger. There'd be a chewed, partially digested corndog in his stomach. That eight ounces of water would compound, becoming hundreds (perhaps thousands) of gallons of water. The power of the Ant-Man suit could solve world hunger in a flash. It could also solve the rapidly worsening drinking water crisis. Those Pym Particles could eliminate hunger and starvation, thereby ending the chaos and violence associated with it. Imagine that... a world with a food and water surplus. Want to create the world's biggest bread loaf? Have Ant-Man swallow a capsule with a tiny piece of bread, then let him grow into Giant-Man. After twelve hours and a moment on a humongous toilet, you'd have a titanic piece of bread. 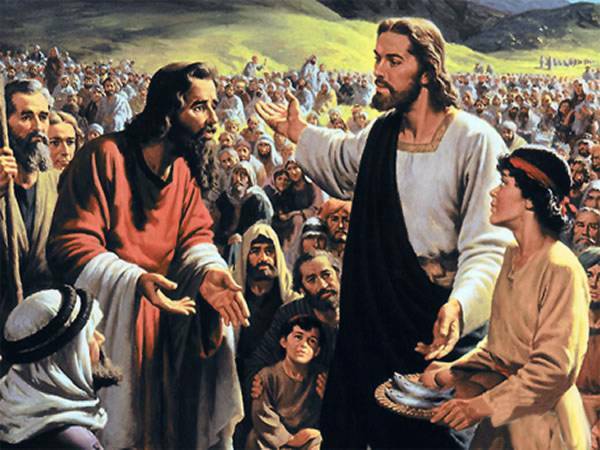 It's like Jesus feeding the multitudes with two fish and fives loaves of bread, only far more plausible! Yet, such a notion would never be applied to the fictional Marvel Universe. If Earth were suddenly free of the genuine problems facing humanity, there'd be very little reason to fight and destroy super-villains. Many of the evil forces that heroes like Ant-Man / Giant-Man face would simply disappear. 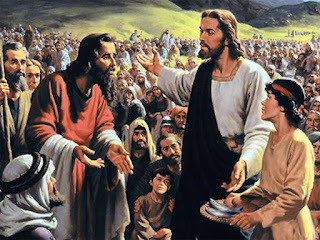 Humanity would enter into a golden age of peace and prosperity. All because Ant-Man could grow stuff in his stomach.